Why Do Some People Develop a Co-occurring Disorder While Others Don't? How Is Dual Diagnosis Treatment Different from Normal Treatment? What Are Some Effective Treatment Options For a Dual-Diagnosis? Also known as comorbidity, having a dual diagnosis implies that someone with a substance use disorder simultaneously suffers from one or more additional psychiatric disorders. Dual diagnoses are more common than most people think. In one study, 75% of individuals admitted to a substance abuse facility had a co-occurring mental illness. Despite these high percentages, as few as 7% of individuals with a dual diagnosis receive effective treatment. Find Treatment for Addiction If you are struggling with both an addiction and mental health disorder, click here to explore possible inpatient treatment options. Which psychiatric illness comes first - substance abuse or the other co-occurring disorder - depends on the person and their circumstances. Sometimes substance abuse can lead to mental illness. For example, the onset of depression is common among those whose relationships, careers and/or health have deteriorated as a result of substance abuse. Conversely, mental illness can bring on drug abuse. Anxiety, for example, can lead people to abuse alcohol and other drugs to find relief from their symptoms. It can be difficult to determine which illness came first and which is responsible for the other. This is why seeking professional help from trained clinicians and medical experts is a vital component of successful treatment. Determining in what ways one or more psychological disorders are interacting with a drug use disorder can be extremely beneficial to one’s recovery. People given a dual diagnosis generally fare more poorly in treatment than those with only a substance use disorder. This is usually because the symptoms of an individual with a co-occurring illness at the beginning of treatment are more severe than those with only a substance use disorder. As a result, individuals with dual diagnoses have more ground to make up. The good news is that people with a dual diagnosis typically enjoy the same level of positive increases in treatment as those with a substance use disorder. While most people with concurrent disorders get better with treatment, there are some factors that can inhibit or slow down their progress. Most important is an undetected co-occurring mental illness. Undetected illnesses pose a risk to treatment dropout and relapse. Those who develop a mental illness before a substance use disorder may be at higher risk of enduring a difficult treatment process. Severe, co-occurring major depression and/or post traumatic stress disorder (PTSD) may also provide additional strain and hinder treatment progress. And, lastly, recent evidence suggests that continued use of tobacco during treatment can be a risk for post-treatment relapse. It is important to note that these factors will not necessarily determine how you will respond to treatment. They only provide potential limitations for individuals with these circumstances, so greater caution and care should be provided in these cases. Having an additional mental illness requires more, and often times different, care. As a result, many treatment facilities and practitioners do not have the broad spectrum of expertise required to treat both conditions. Only 18% of addiction treatment centers and 9% of mental health programs meet criteria for treating dual diagnosis cases. Of actual substance abuse treatment facilities, only 50% accommodate dual diagnoses, and of those, only 42% offer mental health medication services, 37 % offer psychotherapy, and even fewer offer domestic violence education and transitional housing options. These are important factors to consider when seeking treatment. Make sure that the facility in your area is able to attend to your specific needs. Dual diagnosis does not necessarily require more time in treatment than a substance use disorder. Long term treatment, however, is shown to be more effective for those with co-occurring disorders—for this reason, the cost for treating both together can be higher. If an individual with a dual diagnosis elects to receive outpatient treatment, attending to each disorder separately will obviously cost more than treating one disorder. Treatment for a dual diagnosis can also be more strenuous on the patient. As carrying the burden of two separate illnesses is more difficult than one, so is the task of treating them. 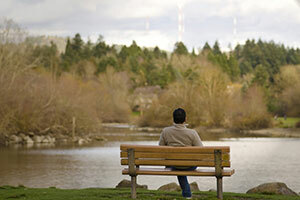 If you are looking for an inpatient treatment facility, you can call 1-888-993-3112Who Answers? 24/7. Be sure to ask centers if they provide treatment for your specific addiction AND mental health concerns. Overall, the majority of people suffering from a dual diagnosis are satisfied with treatment. Of all treatment options, inpatient facilities – particularly those designed to meet a broader range of dual diagnosis patient needs – are shown to be the most effective. 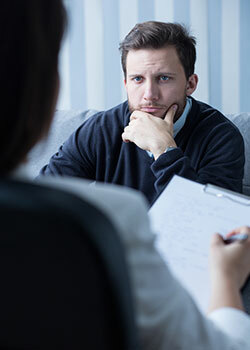 As both medication and psychotherapy (talk therapy) have been shown to effectively treat either or both substance abuse and co-occurring mental illness, practitioners or treatment centers that offer one or both of these services should be considered first line options. Again, many treatment facilities DO NOT offer one or both of these options, so it is important to ask about them when you make contact with a treatment facility. Cognitive-behavioral therapy (CBT) involves recognizing and changing thoughts and behaviors that encourage drug use and negative thinking. For people with self-harm and impulsive tendencies, Dialectical Behavioral Therapy (DBT) may be particularly helpful. Some individuals prefer group therapy, which can also improve social skills and provide a support group. Exposure therapies are especially helpful for individuals suffering from severe anxiety and panic attacks, as well as post-traumatic stress. Therapeutic communities are designed to help those suffering from domestic violence or homelessness. Assertive Community Treatment targets those with severe mental illness such as schizophrenia. There are also separate facilities that treat dual diagnoses in adolescents. Inpatient treatment provides a live-in facility where patients receive 24-hour care. Residential treatment is a kind of inpatient treatment model that most dual diagnosis facilities follow, providing a more in-home feel than other inpatient treatment facilities, like hospitals. Most employers allow employees time off to receive inpatient treatment, but some people still cannot afford time off from work or school. For those with this limitation, outpatient treatment may be a more reasonable option. With outpatient treatment, patients receive specialized care from medical experts, usually for two to three hours, three to four times a week. Partial hospitalization – or day treatment – provides treatment during the day, with access to hospital-based services occurring for only a set portion of the day. Program participants return home after the daily treatment period ends. Residential treatments are typically much more expensive than both outpatient care and state or federally run rehabilitation centers. Length of stay, insurance coverage and level of treatment will all impact the cost of inpatient and residential treatment. How medical experts decide to approach treatment is determined by the severity, number, type and interaction of psychiatric disorders. Fortunately, dual diagnosis treatment centers are evenly dispersed throughout the country—making them reasonably accessible. The majority of dual diagnosis treatment facilities, however, are privately owned. This might translate to costlier treatment, in some cases. Federal and state-run facilities are typically more affordable, but they also are more likely to not provide extensive dual diagnosis services. Separation from friends and loved ones. Detoxification period, which can be both physically and psychology stressful. Discomfort of being in an unfamiliar place with unfamiliar people. That being said, the potential benefits of treatment far outweigh these discomforts. Outpatient treatment may also include a structured detox period, which will be prescribed and closely followed by an addiction treatment clinician. Ongoing counseling and therapy will also be administered on an outpatient basis. Some may preferentially seek outpatient treatment, as it avails them of more immediate support from family and friends. Those who feel that friends or family members are not supportive of their rehabilitation and/or could pose a risk for relapse might find inpatient treatment to be a more viable option. Consult your insurance provider to see what kind of mental health coverage you have. Many insurance companies will help with coverage for both private and state or federally run treatment facilities. Additionally, most states have mental health parity for insurance, which means that group health plans and insurers cannot make mental health coverage any more restrictive than other medical coverage (US department of labor). You can also contact the Substance Abuse and Mental Health Services Administration (SAMHSA) office of the U.S. Department of Health and Human Services—this agency provides an extensive list of certified treatment facilities. You can also use the SAMHSA treatment finder to search for inpatient or outpatient facilities in your area. Be sure to ask whether they treat dual-diagnoses when contact facilities. Location – For your convenience, try to find a treatment program that is close to your home or place of employment. Staff – Make sure the staff is qualified and that the facility's resources attend to all of your needs. Social support – Dual diagnoses, being more severe on the whole compared to a single diagnosis, may require more social support. Mueser, K. T., Drake, R. E., & Wallach, M. A. (1998). Dual diagnosis: a review of etiological theories. Addictive behaviors, 23(6), 717-734.